July 17, 2017 by Ken Ward Jr.
We’ve had a Gazette-Mail story and a Coal Tattoo blog post about the U.S. Mine Safety and Health Administration’s new voluntary training initiative, a program launched in response to a troubling uptick in coal-mining deaths this year, especially in West Virginia. 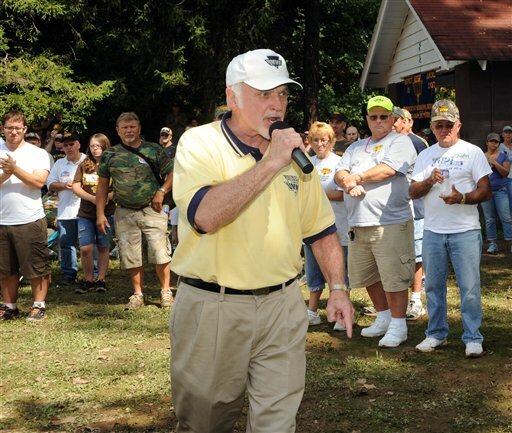 Now, the United Mine Workers of America union is continuing its criticism of the MSHA program. UMWA President Cecil Roberts sent this letter earlier this month to Acting MSHA chief Pat Silvey. Among other things, the union is concerned that MSHA is not going to allow agency staffers who visit mines as part of this program to actually write violations and that official miners’ representatives would not be included in these “compliance assistance” visits to mining operations.